When Tony Pulis was appointed as Albion’s new head coach, I wasn’t altogether thrilled. I had never liked the style of football Pulis teams had played, particularly at Stoke, and I’d always felt that he came across as arrogant and somewhat of a moaner when things don’t go his way. However, you could not argue with his record and I have always been prepared to give him a chance. Until the double header against Villa, the results had been very good, but I’d always had some reservations about how they had been achieved. Since Pulis took over, the only game we have really played good football for extended periods was against West Ham in the FA Cup. There were occasional good spells against Hull, Swansea and Southampton, but everything was built on a solid defence. The game at Everton was an incredibly difficult game to watch, even as a fan of one of the teams, and Albion were lucky to come away with a point. I didn’t go to Sunderland, but I’ve heard is was a similarly turgid spectacle. After a few different line-ups, Pulis’s “solid” defence has been based one two ageing centre backs, a younger centre back at right full back and a left midfielder at left full back. This has been a consistent line-up, when all have been available, for a couple of months now. 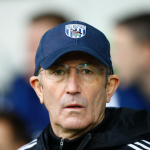 Wisdom started a few games in the early days, but Pulis soon dropped him in favour of Dawson. There are plenty of Albion fans who thought Wisdom wasn’t worth his place in the side, but not many would’ve picked Dawson as his replacement. I have always found it difficult to understand why Pulis has consistently ignored the other three full backs in the squad. At the beginning of the season, Sébastian Pocognoli was, in my opinion, one of Albion’s best performers and, while we haven’t seen a great deal of Christian Gamboa due to Irvine preferring Wisdom, he performed very well in the World Cup last summer, and when he has been on the field, I’ve liked what I’ve seen. And let’s not forget Jason Davidson who won the Asia Cup with Australia earlier this year. Pocognoli played against Gateshead in Pulis’s first game and has been on the bench for most of the games since without once getting on the pitch, whereas Gamboa has made the bench just three times under Pulis with his only appearance being as a 91st minute substitute in the cup game against West Ham. Davidson, on the other hand has not made a single Pulis squad. It’s not as if Pulis’s favoured back four have been always available either, but rather than using a recognised full back when one of the chosen has been missing, Pulis has preferred to use Olsson or Baird, and has even played Lescott at left back which was an unmitigated disaster. For whatever reason, Pulis obviously doesn’t think that any of our four full backs are worth a place in the side. I wonder if one of the reasons might be as simple as their height – we all remember how big his Stoke side was. At 6’1”, Wisdom is the only one of the four over six foot – Pocognoli and Davidson are both 5’11” while Gamboa is 5’9”. Nonetheless, I still find it incredible that Chris Baird (6’1”) is preferred to Gamboa as a right back. In my eyes, Pocognoli and Gamboa offer something that is severely lacking in the Baggies defence, if not in the team in general, and that is pace. While you can always look at individual errors which have directly or indirectly led to goals in the games against Villa, Spurs, Burnley, QPR and Leicester, one thing that those teams all exploited is Albion’s lack of pace in defence. Note that this is not just the last two games, it has been evident in the performances over the last five or six weeks. While the results were still coming, I pushed my reservations to one side with the common faith in Pulis’s genius, but after the past two performances in which Albion have conceded seven goals to the Premier League’s bottom two, my faith is waining. Terry Burton and his team have assembled a squad which includes nine defenders, four full backs and five centre backs (including Baird), but Pulis has effectively reduced this to five and added Chris Brunt to the ranks of the defence (and even Saido Berahino appeared to be playing left wing-back against Everton). Football is a squad game these days, but Tony Pulis seems to think he can ignore half of his defensive squad and I believe this is beginning to tell. The games against QPR and Leicester have been characterised by individual errors, particularly in defence, with McAuley and Lescott both guilty in the defeat to the Foxes. McAuley is 35 and Lescott is 32, and even when they were younger, neither possessed a great deal of pace. They have both started every single game under Tony Pulis and with no pace in the defence, they are going to be at the limit of their physical endurance in most games. It is little wonder, therefore, that they are beginning to show signs of tiredness, both physical and mental, which leads to mistakes. But it is not just his selections in defence that have led me to question Pulis. Neither Gardner or Morrison are effective wide players, but with Brunt playing left back, Callum McManaman injured for much of the past few weeks and Blanco and Varela deemed surplus to requirements in January, options have been limited. Against QPR, I thought the decision to bring Anichebe on at half time was the right one, and to be fair, Albion had enough chances to have got back into that game. Against Leicester, however, it was obvious to me that Albion were struggling from about 30 minutes onwards. Leicester had nothing to lose and given the pace of Vardy and Schlupp, they were always going to cause Albion problems. The only option, in my view, was to attack their weak defence to take the pressure off ours. I’m not saying that we should’ve gone gung-ho and risk getting caught on the break, but it seemed to me that the Albion players were under instructions to sit back and defend, allowing Leicester possession. This is the bottom of the table side we are talking about here, and Albion were at home – why such an incredible lack of ambition? Gardner was having a dreadful game, and needed to come off sooner than he did, but when I spotted Jonas Olsson readying himself for action, I was incredulous. We needed an outlet, someone to keep possession and attack Leicester, not another defender! Both Sessègnon and McManaman were on the bench and, given what Sess did when he did come on much too late, I can’t help but think that he would’ve made a difference had he been on earlier. I believe Pulis’s defensive selections have been an accident waiting to happen, and that wait has come to an end in the past two games. After the QPR débâcle, the game against Leicester was huge, and I think that Pulis has to take a massive share of the responsibility for that defeat – few of the players came away with any credit, but Pulis’s tactics, particularly in the second half, we’re woeful. It now means that the Welshman’s proud record of not being relegated is once again at risk. The Baggies’ run-in is incredibly difficult and if Albion play like they have done in the past couple of weeks, I’m struggling to see where another point is coming from. With many of the sides below us starting to pick up points, I’m not convinced that 33 points is enough. Last season, Albion got five points from the fixtures corresponding to our run-in, but that comprised of 3 points at Old Trafford and home draws with Chelsea and Liverpool, results I just can’t see being repeated given our current form. Albion are still, in the bookies’ minds at least, long shots for relegation, but I’m more concerned now that I have been at any point this season. The dreadful form of Hull and Sunderland coupled with their remaining fixtures (Hull’s run-in is every bit as tough as Albion’s and Sunderland finish against Arsenal and Chelsea) make them more likely candidates to be fighting with the current bottom three, but Tony Pulis has some work to do to keep that proud record, and to convince me that he is the right man to be at the helm beyond this season.